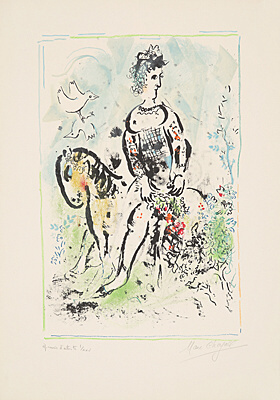 Marc Chagall (Vitebsk, Belarus 18871985 Saint-Paul-de-Vence) is one of the most important solitary figures of twentieth century art. 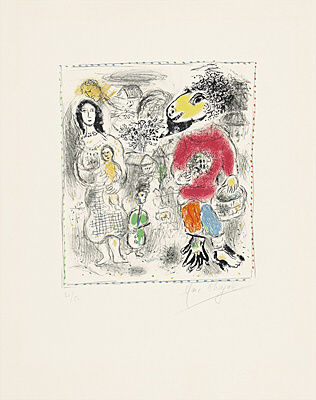 With his colourfulness and unique cosmos of imagery, Marc Chagall created a highly individual oeuvre. 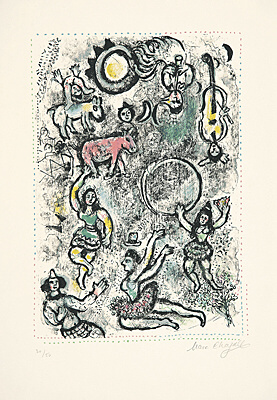 In Chagalls works, the laws of gravity appear to have been suspended, as do the canons of central perspective and causality. 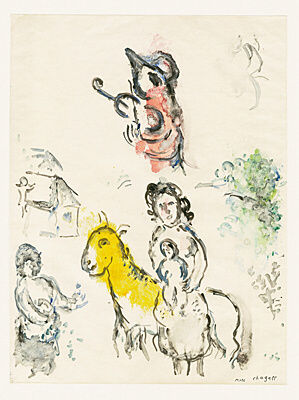 His unmistakable means of design include the self-evident standing on ones head, the juxtaposition of the small and the large, the anatomically impossible. 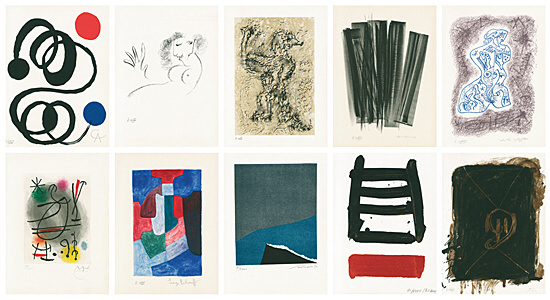 The contents of his pictures always appear under both formal and symbolic aspects. 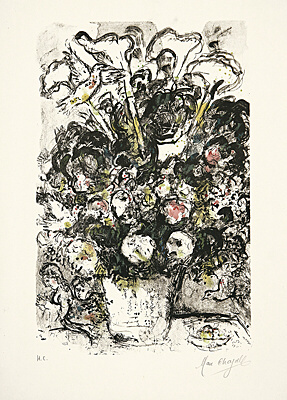 Space and time are suspended in Chagalls works in order to represent inner psychic, mental and spiritual states. 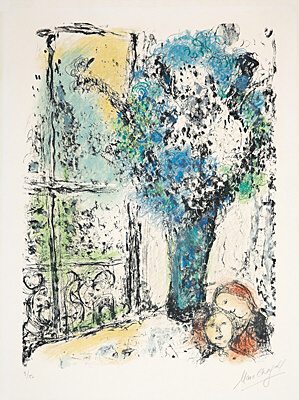 Chagall is also characterised by the colours he used. They are bright, vivid colours  a colourfulness that is unique to him.